CircuPool now offers RJ-PLUS models instead of the regular RJ models. 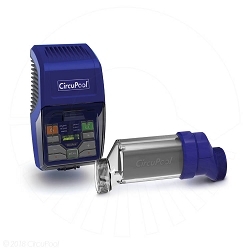 The RJ PLUS Series provides the same advanced salt chlorination experience as the regular model, but includes an Extended-Lifespan Titanium Cell (which can create up to 30% more chlorine over its lifetime), and a longer warranty to match, so you can continue to enjoy your pool while saving even more on pool maintenance over the years. Regular RJ models are not being offered at this time, click on the red link below to visit the RJ-PLUS models.